ALn663 DMU. Very nice simulation with photorealistic driver's stand with moving controls and working indicators. 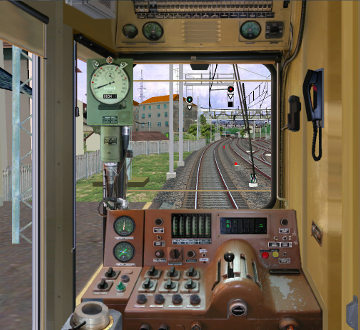 This train comes in 2 versions for OpenBVE. One version is with one single unit; the other with 2 coupled units. The data below describes a single unit. This train has a gearbox and other controls that use other keys than what is standard for OpenBVE. There is a readme file from the creators to explain this. Read it!